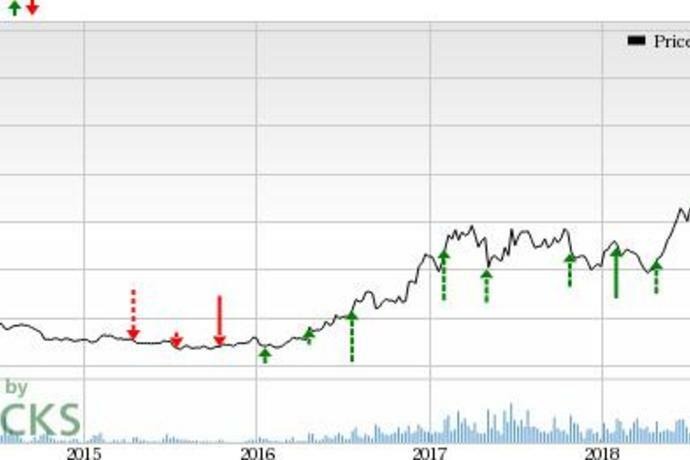 Advanced Micro Devices (AMD) third-quarter 2018 results are likely to benefit from portfolio strength and rapid adoption of its processors in PC, gaming and data center industries. Advanced Micro Devices Inc AMD is set to report third-quarter 2018 results on Oct 24. Notably, AMD has a positive record of earnings surprises in the trailing four quarters, the average surprise being 30.97%. In the last reported quarter, earnings of 14 cents per share beat the Zacks Consensus Estimates by couple of cents. Moreover, revenues surged 53% year over year to $1.76 billion and marginally exceeded the Zacks Consensus Estimate of $1.72 billion. The year-over-year increase was primarily due to better-than-expected growth in both Computing & Graphics, and Enterprise, Embedded & Semi-Custom business segments. For third-quarter 2018, AMD expects revenues to be roughly $1.7 billion (+/-$50 million). The Zacks Consensus Estimate for fourth-quarter revenues is currently pegged at $1.71 billion, which reflects year-over-year growth of almost 4%. Moreover, the consensus mark for earnings has been steady at 48 cents per share over the last seven days. AMD's portfolio strength is a key catalyst. The company is expected to benefit from accelerated adoption of its products in PC, gaming and data center industries. 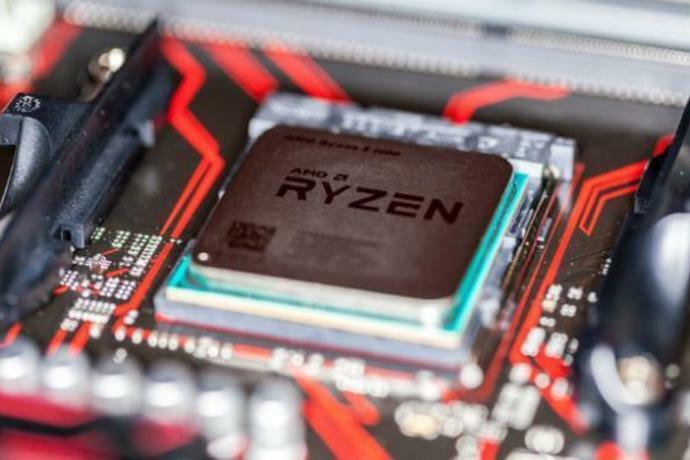 Notably, AMD's products have been selected by the likes of Cisco CSCO and Hewlett Packard Enterprise HPE. These contracts are helping AMD rapidly penetrate the server market. Moreover, robust sales of GPU, driven by increasing adoption of AI techniques and machine learning tools in industries like gaming, automotive and blockchain, present significant growth opportunity. AMD's collaborations with Baidu, Amazon, Tencent, Microsoft and JD.com are also expected to drive growth in the to-be-reported quarter. Moreover, strong adoption of EPYC server processors is another significant growth driver. According to the Zacks model, a company with a Zacks Rank #1 (Strong Buy), 2 (Buy) or 3 (Hold) has a good chance of beating estimates along with a positive Earnings ESP. The Sell-rated stocks (Zacks Rank #4 or 5) are best avoided. AMD has a Zacks Rank #3 and an Earnings ESP of +0.67%, which indicates a likely positive surprise. You can uncover the best stocks to buy or sell before they're reported with our Earnings ESP Filter. Here is a stock you may consider as our proven model shows that it has the right combination of elements to post an earnings beat this quarter. Advanced Energy Industries AEIS has an Earnings ESP of +2.70% and a Zacks Rank #2. You can see the complete list of today's Zacks #1 Rank stocks here.